Everything DiSC Work of Leaders is an accessible leadership improvement tool for leaders of all levels. It focuses on tangible steps and best practices directed at leading a group or organization toward desired outcomes. This leadership training is based on the fully-reasearched and validated Everything DiSC model. Four years of research and development were poured into this product which is based on input from over 300 leaders from more than 150 organizations. The result of all that development effort is a colorful, new 23-page profile that provides clear direction to improving a leader's skill set. 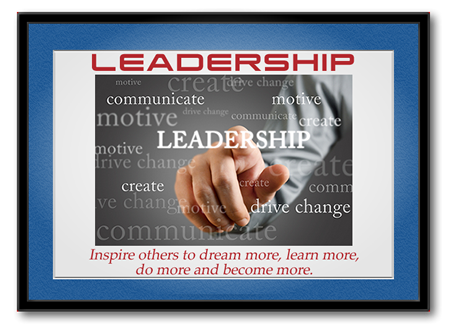 The Work of Leaders profile can be used as a stand-alone tool, but it is best leveraged with a group of leaders in a classroom situation. The profile serves as the workbook for the classroom materials. Key points are highlighted by high-quality, contemporary video while numerous group activities stimulate enlightening conversations and map the concepts to the organization's goals. Like all products in the Everything DiSC® series, the momentum for real improvement is created. The profile and classroom materials both lead the participant through the creation of an action plan based on each individual's profile results.